The entrance to the tomb is on the south side of the EMPRESS JAGUAR'S HUNTING GROUND. 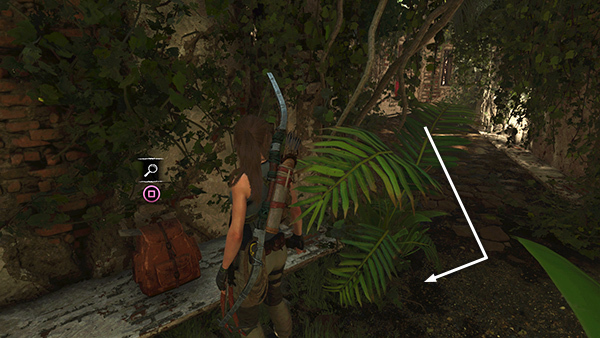 If you need help defeating the jaguar so you can pass, see here. 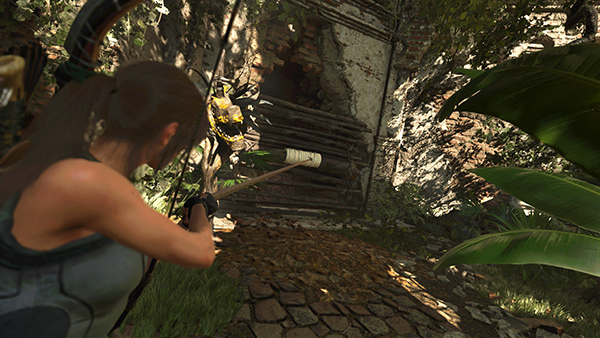 With the jaguar out of the way, you can proceed to the rusty iron gate surrounded by gilded totems on the south side of the HUNTING GROUND. 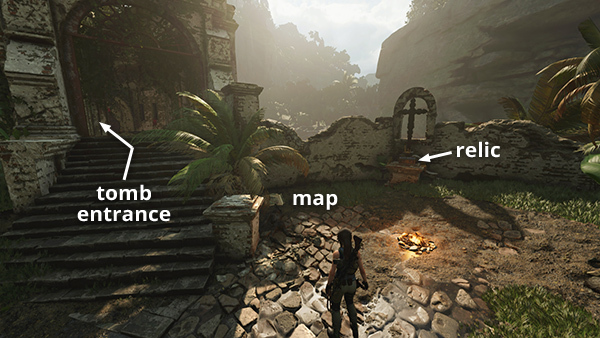 Enter and climb the stairs to find the Deserted Cloister Base Camp and, just beyond the campfire, another archivist map (4/4) and a relic (6/9), Mission San Juan (Miracle Mission). 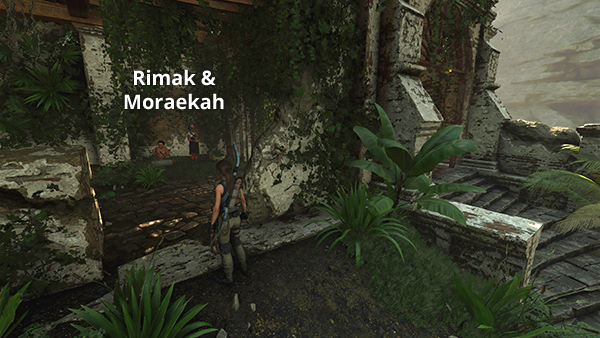 if you are visiting this area for the first time during the VIA VERITAS chapter of the main story, your old friends Rimak and Moraekah should be waiting for you just inside the ruins. She sells the ROPE ASCENDER and LOCKPICK, along with various other items. Trade with her now because she probably won't be here when you come out of the tomb. If you miss her here, you can find her later in these locations. There's a document (13/27), The Hills Are Alive (Homecoming), sitting on one of the little tables in the corridor on the west side of the cloister. At the end of this corridor on the right, hidden behind some foliage, is an explorer backpack (2/3). 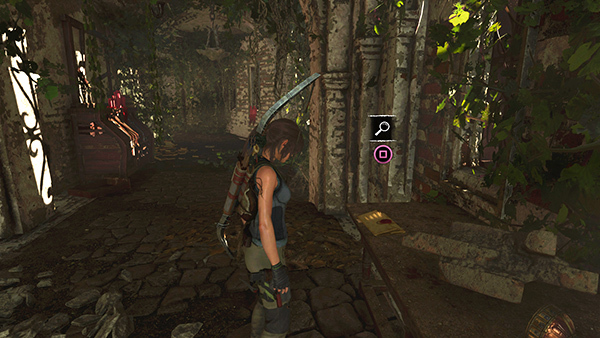 Examining it reveals the locations of several survival caches: one in the cave you passed earlier on the way here, the rest in the second challenge tomb, which we'll explore a little later. Opposite the pack is a wooden barrier. Use a rope arrow to pull it down. 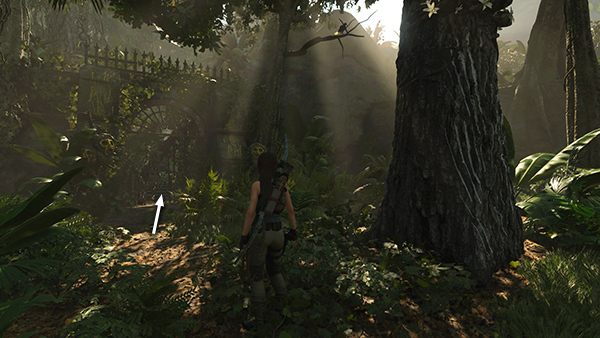 This is the actual tomb entrance.